Looking for a sporty compact SUV oozing with features for an everyday adventure? The new car Ford Ecosport best suits you! Its stunning appearance from any angle makes you want to drive it. Its amazing capacity and reliability will lead you to exciting fun-filled road trips with family and friends! 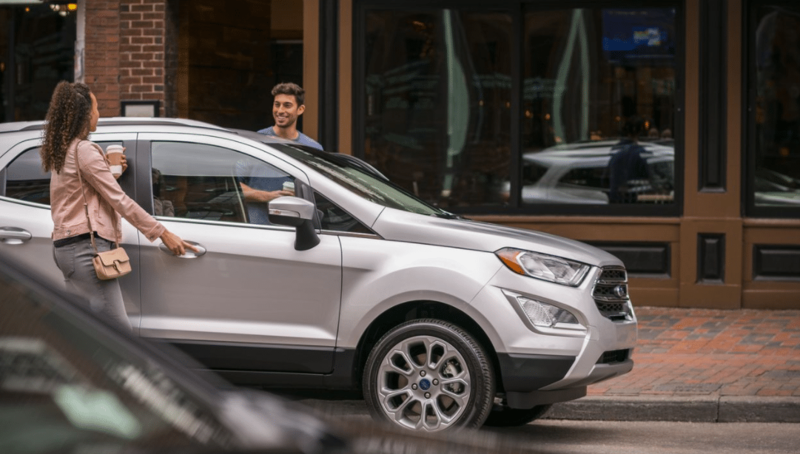 Visit us at Royal Ford, Yorkton, Saskatchewan to learn more about Ford Ecosport price, trims and how we can help you make your buying experience easy. The Ecosport for sale at Royal Ford, Yorkton, Saskatchewan has a remarkable eye-catching energetic look. You even have the additional option of the SES black appearance package hood decal, or the SES sleek black painted roof which comes with a stylish ebony interior and unique hood decal. Offers comfort and elegance in its interior with heated leather-trimmed seating (standard on SE and above). Driving a leather-wrapped steering wheel with cruise and audio controls, manual tilt and telescoping with black stitching, will give you a pampering experience while on the road. Power moonroof and sunshade allows you to enjoy the embrace of sunlight and moonlight, with just a push of a button (standard on SE, SES and Titanium). It has a unique rear swing gate with hideaway latch for more storage capacity. It is a host of smart amenities making each driving experience an adventure. 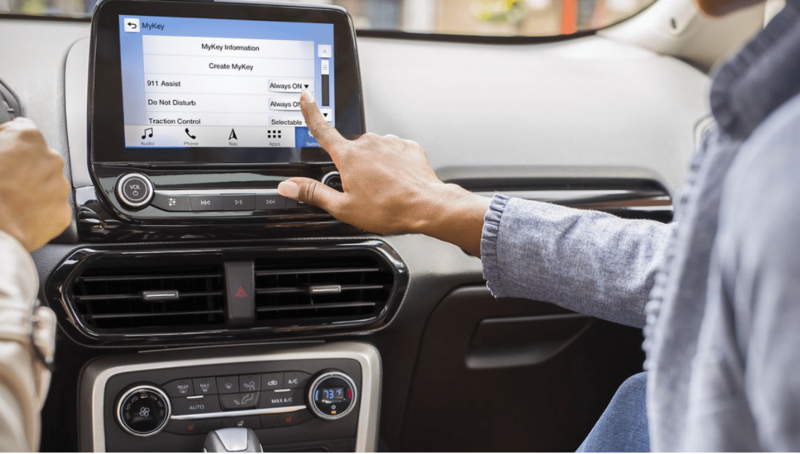 It is the go-to SUV with an 8–inch touchscreen working like a smartphone. It lights up the night with LED signature lighting and halogen projector headlamps (standard on Ecosport SE, SES and Titatnium). •	Intelligent Access, to keep the fob in your pocket or purse to enter and start your EcoSport, and then lock it behind you. **Requires phone with active data service and compatible software. SYNC® 3 does not control third-party products while in use. Third parties are solely responsible for their respective functionality. As you drive this compact Ford SUV, listen to your favourite songs in a surround-sound experience through a 10-speaker B&O Sound System by Bang & Olufsen. It is specifically designed for Ecosport and standard for the Titanium Ecosport for sale at Royal Ford, Yorkton, Saskatchewan. The exceptional comfortable ride offered by 2019 Ecosport is magnified by its capability to assist you in your daily activities and road trips. Idling at a traffic light? No problem because the Auto Start-Stop Technology automatically shuts off the engine when it is not needed. This Ecosport for sale at Royal Ford, Yorkton, Saskatchewan has enhanced handling on a variety of road conditions. The Ecosport has an uphill assist, which will facilitate the changing from break to gas without rolling backwards. Stopping on a slope should not worry you anymore. The new Ford Ecosport price is all worth it, as the Ecosport gives you confidence to go anywhere. It is equipped with an Ecoboost engine. You may select the available 2.0L Ti-VCT (GDI) engine with Intelligent 4WD for a better handling capability for any weather and road conditions. 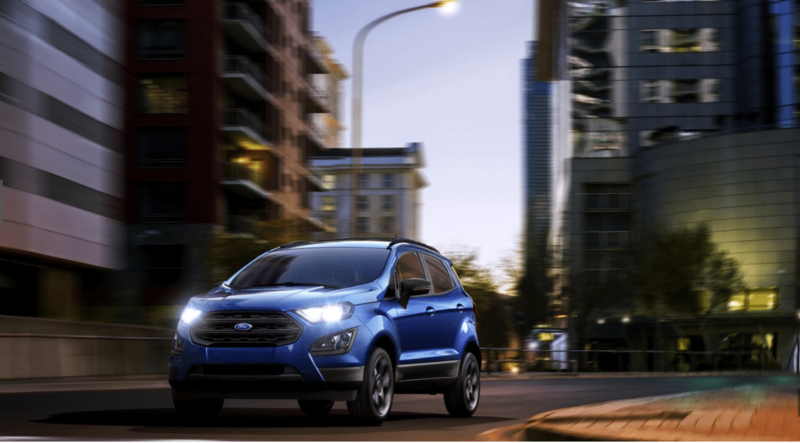 The cargo capability of the 2019 Ecosport is one of its strong points as it provides more storage options and it has an adjustable cargo shelf. It has 60/40 flip-up and split-fold-flat rear seat backs, giving plenty of room needed for the big adventure. OWN A FORD ECOSPORT NOW! IT’S A PRACTICAL CHOICE! Whatever lifestyle you may be into, an Ecosport is a suitable partner. You are always in style with its sporty look and elegance. The Ecosport for sale at Royal Ford, Yorkton, Saskatchewan has a wide variety of trims and specs from which you can choose. You can opt for different accessories that make you more comfortable and confident on the road. At Royal Ford, Yorkton, Saskatchewan you are assured of a stress-free buying experience. 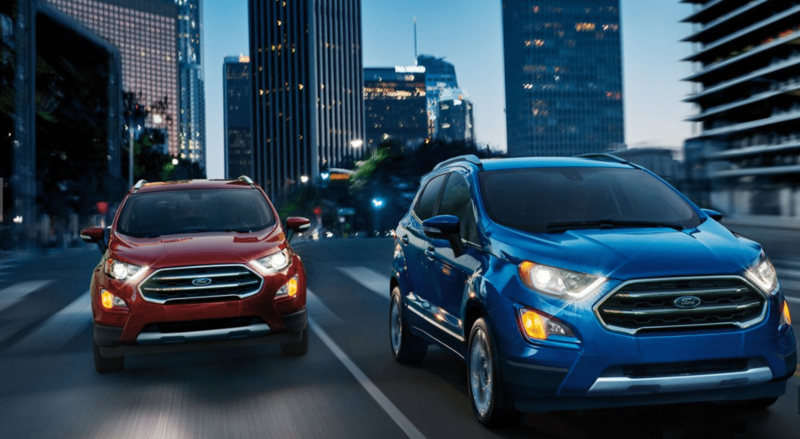 Our dedicated professionals are more than willing to assist you with the Ford Ecosport price, specs, and other information you need. Come and visit us!